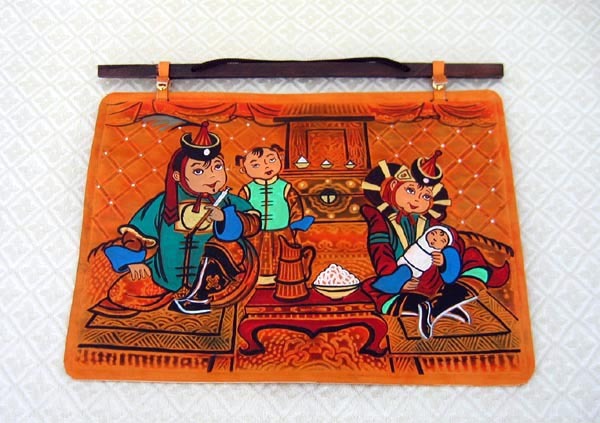 This leather hanging Nativity was made in Ulaanbaatar, Mongolia. The item was a Christmas gift to us from our Mongolian translator, Burgedbaatar. He purchased the item in a local market. The leather is stamped to create a raised pattern and then hand-painted. The family members wear traditional Mongolian costumes. The item measures 9.5 inches tall by 12 inches wide.